I love Addison. I lived there for a few years in my twenties as a window installer for Pacesetter Corporation. That was 25 years ago. It's still my favorite place to eat and home to several of my favorite restaurants. The festivals. Taste of Addison. The concerts and 300+ restaurants make it a North Texas hub of entertainment and festivites. I still spend my fourth of July there every year. It's a great place to visit and a hub for some wonderful upscale homes. Quite a few of them I've worked on. I offer ten window manufacturers with about three to five models from each. From Burris and Associates to Pella, to Andersen to Don Young Company. From Alside to NT Window, I know them all well and use them on the houses they fit in the best. In Addison I have a few favorites as well. This is a little project from 2013 that speaks to the homes and some great options for updating the old builders grade windows with new vinyl replacement windows. A local favorite for us and many of the small communites around Dallas is the NT Window brand. They may The Energy Master, The Presidential, The Executive and The Traditions. All use the Cardinal 366 Low E Glass package with Argon Gas filled insulated glass made in the Cardinal plant in Waxahatchie. It's local manufacturing means the money stays local and we all like that and it also is one of the highest performing glass packages in America. The Window itself is quite comparable to a Simonton vinyl replacement window but it tends to run about $150 less per window due to it's locality and the lessened shipping and breakage costs that are associated with it. A really great product at a really great price point for windows. Really they make two models with variations on both to come up with four window models. Replacement windows as a whole do a lot of re-branding to prevent comparison shopping but we help you get around all that with more than 33 years of hands on, in the field, window replacement expertise. It's a calling we take very seriously. Getting the metal leaky windows out and a lifetime warranty window in. This shot shows the old builders grade aluminum that is part of life in Addison. Most homes started with these and at the ten plus year old mark they tend to have issues from fogging, to condensation, to flat out leaking hot and cold air. This was a great place for the NT Window to show it's stuff. Lifetime warranty and top of the line replaceable parts and pieces mean it will be the last window you ever have to buy. Have a look at more from our before and after catalogue. Almost every bad review you will see on the internet is about installation. It take experience and most providers use subcontractors that are in a bit of a hurry and may lack that hands on experience that 30 plus years of window installation brings. Many of my worthy competitors pay just $35 per window to an installation crew to try to deliver a low cost product and use very inexpensive windows as well. This can be a real issue on a home with the values we see in Addison. This one shows that we can do it all. 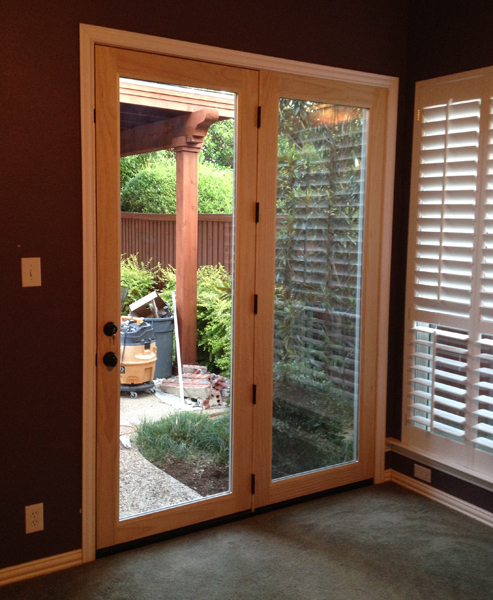 Door installation, Patio Doors, French Doors, even doors where windows used to be. We pride ourselves on the best work out there and the most experience of any crew that can be invited to work on your home. This shot shows our impeccable caulking beads. We even have a few YouTube videos out there about how to make them look like this. When done correctly, the caulking can look like a rubber gasket. When done poorly, it can be a mess. It's all about the training and experience. Here's one of our founder and a basic installation. What I can promise is that you'll never get this 15 back if you watch it. 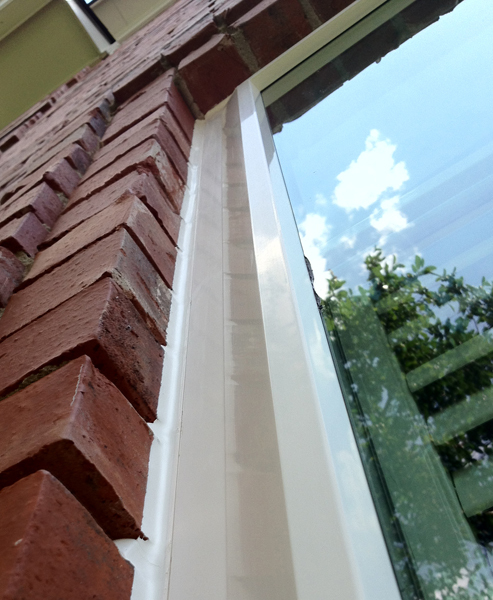 This shows how clean and perfect a window installation can be, even up against the brick. Our reputation for quality workmanship is unparalleled. We've been named The NT Window Dealer of the Year six times in recent years due to quality of workmanship and commitment to customer service. Dave Traynor, Host of House Talk Texas and Maryrose of KLTY on Windows! Experience matters. 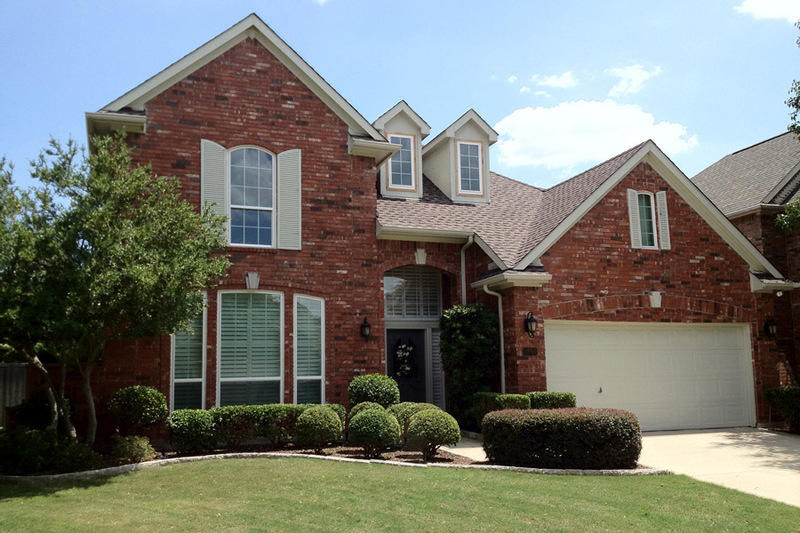 We bring more to your vinyl replacement window project than anyone in Addison or North Texas. 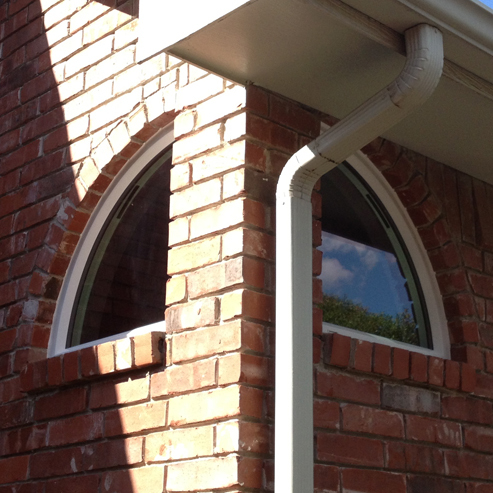 window, installation, caulking, NT Window, Energy Master, vinyl, replacement, windows, Addison, TexasContact us! 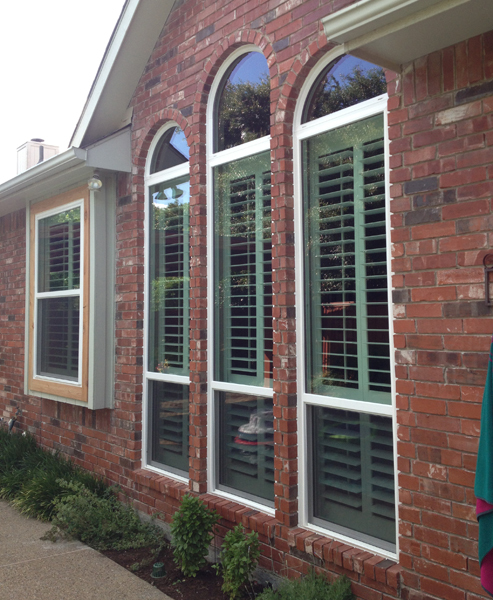 This shot of a new NT Window Energy Master window in front of white shutters tells a lot about glass color. Modern heat reflective glass like this one has (Cardinal 366 Low E Glass with Argon Gas filled insulated glass) does have some color to it. What many don't know, and many window replacement contractors don't talk about is the tint and hue. Cardinal has a greenish color, PPG on the other hand has a blue grey color. Different manufacturers of glass utilized by different window manufacturers. It's one of the many reasons we offer ten manufacturers. One manufacturer specifically, Alside, has 7 different double paned glass packages in their replacement windows. All offer different colors, and different performance. Knowing which is best for your home is a matter of experience and expertise. We're proud to have been featured on The Learning Channel, and as a consultant for Channel 8's DFW Dream Home. We are also A rated by the BBB and Angie's List for our quality workmanship and attentiveness to details. Just in 2017 we were named one of the top 16 of 313 window and door installation companies in North Texas by Expertise.com. A great honor and a reminder to ourselves and our customers of our commitment to quality in installation. vinyl, window, windows, installation, caulking, installers, contractors, workmanship, craftsmanship, NT Window, Energy Master, Cardinal, 366, Low E Glass, Argon Gas, insulated glass, lifetime warranty Contact Us! Most homes now are not using grids at all in the sides or rear of the home. It's become a design trend. Where as builders in the past put grids in all windows, we spend more time and money in the back yard now and removing grids can really open up the view. On this home, getting rid of the grids really updated the look. Also seldom talked about is that the shutters have a natural break at the sash member and windows need to correspond. Shutters and windows that don't line up look terrible. We take the smallest of details into account when selling, measuring and installing vinyl replacement windows. Right down to the last details... alarms being one of them. 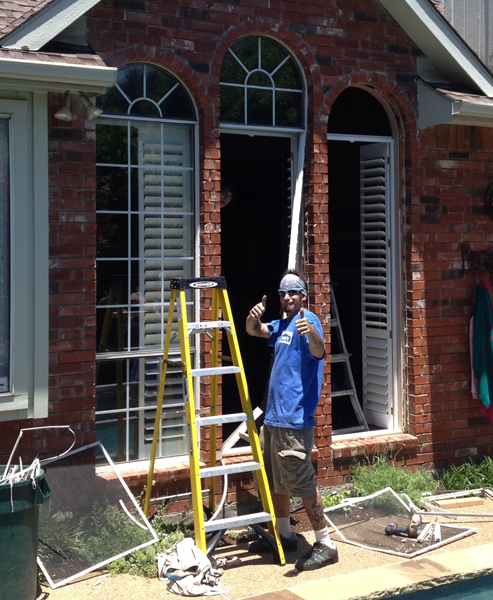 We are the only provider in Addison that rewires new alarm contacts into the new window. Strange as it seems, most window installation contractors just leave wires hanging out and tell you to call the alarm company. This is a terrible approach. Quality installation means all aspects of the installation.ffrom alarms to moving furniture to removing and reinstalling blinds, haul off, clean up and all the things no one thinks about and other window installation contractors never talk about. New energy efficient windows are thicker than old builders grade windows. New windows need the extra room and where as a brick install is simple and the new window covers up the old caulking bead for a great end result, the ones in wood siding need to float into the home about an inch and get new exterior trim..
We take all these details into consideration. Sometimes it makes sense to retrim, sometimes it makes sense to cut back the sheetrock and the sill, and sometimes it makes sense to use new cedar or pine trim to recover the exterior. A free in home consultation will share all the details with you and bring more insight than anything else. We do that at no charge with no obligation to buy. While vinyl windows are the mainstay of the industry, we also offer aluminum wood and composite replacement windows. The right product for the home, the neighborhood, the home value and the long term goals of our customers in our passion. It makes you want to refer us to friends, neighbors and family members. More than half our work is referral work but it's the insight we share on this website that really sells the job. These are tough to measure and expensive. It takes a lot of hand holding with a manufacturer to get them perfect. Windows are custom made and manufactured to within 1/8" from most window manufacturers. Getting them perfect is our passion. This was our slim line vinyl picture window. Made with just 1 1/2" of frame, it's the smallest profile, full sized, lifetime warranty vinyl picture window in America. It's seldom known about, talked about or seen. It's one of our favorites for keeping glass size large and frame size minimal. Doing the little things matters. Like the information on this website for instance. This website is one of the most highly rated in the nation for it's candid information and great replacement window insight. It makes us rate really high on Google and keeps our advertising costs down. This is savings that we pass on to you. Most of our competitors spend up to 20% of gross revenue on advertising. This website keeps our advertising costs at just 4 to 6% annually. We know where to cut corners and where not to cut corners to deliver the best value in North Texas on vinyl replacement windows and doors. vinyl, window, windows, grids, NT Window, Addison , Energy Master, slim line, replacement, windows, picture windows, architecturalContact Us! This is the inside of our beautiful clad wood doors. While a bit pricey and more expensive than our fiberglass or steel doors, they are remarkable. Pine wood through and through with an aluminum clad exterior to provide a maintenance free exterior. This is called a center hinged door. Hinges in the center, left panel operational and right panel stationary. With our french doors both panels operate. Dead panel moves with two pull pins, top and bottom to activate the door. Sliding doors and the illusive eight foot tall french doors are in our wheelhouse as well. We offer the very best storm doors in Addison and our sliding doors are the industry standard and available from several manufacturers to match our vinyl replacement window line. This door was cut in to a location with a twin window previously. We offer a turn key product and have available brick masons and painters to help with our finished product as well. Not a typical window and door company, we offer the very best of results with no detail left unattended. We are proud to make the very best choices for you in your home improvement needs. This is a single hung vinyl replacement window. It operates like your current window from the bottom sash only. These provide more light, less frame and more glass surface with a frame of just 2 5/8" from the edge of the window to the glass. A double hung window by contrast operates from top and bottom. These are usually only functional with a full screen or when split exactly in half so the half screen can be utilized on top or bottom depending on how you ventilate. Single hungs have more glass, are more energy efficient and more water hose friendly. A double hung will typically have a U value .01 worse than a single hung. This is the interior of an NT WIndow Energy Master Vinyl Replacement Window. A locally made product using Cardinal 366 Low E Glass with Argon Gas filled insulated glass. Today's top of the line replacement windows have a lifetime warranty and numerous options available including sound glass packages of laminated glass to block more noise, triple glazing to lower U Values to the .18 neighborhood, foam filling and a number of other options. We strive to help people to find the right replacement window for their home everytime. A free in home consultation is all that's required to find out what's the right product for your home. single hung, double hung, vinyl, replacement, window, windows, Addison, NT Window, Energy Master, Presidential, Traditions, ExecutiveContact Us! During the installation process we don't need to remove brick or damage sheetrock. Glass is removed and the frame is expanded in on itself to leave all those components in tact. 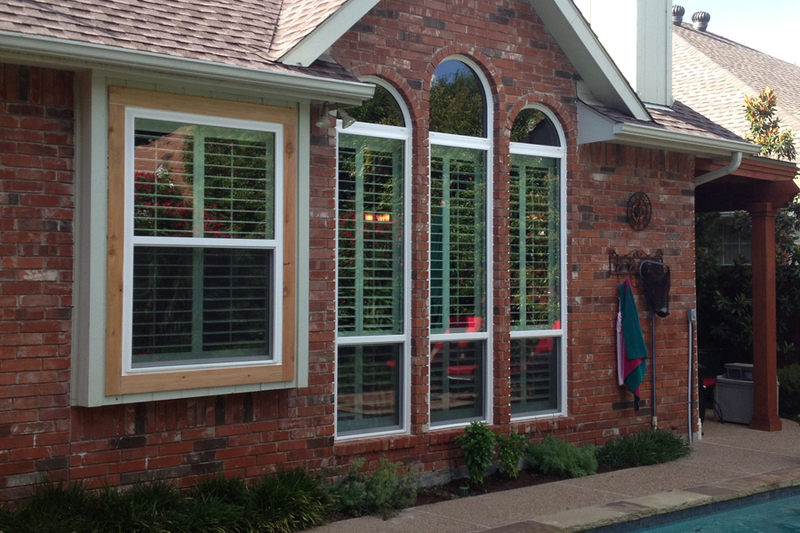 On this one we took out windows with grids and installed new ones without grids to enhance the view of the pool. Shutters will usually remain in place and yes, we are the only window and door contractor that will handle the alarm system as well. 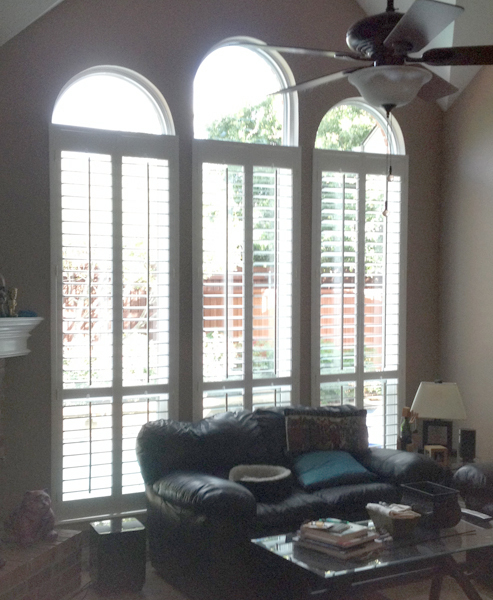 Cost of Windows by Remodeling Magazines "Cost vs, Value Report"
Window, Installation, Installers, Vinyl, Replacement, Windows, Addison, Texas, NT Window, Energy Master, Alside, Mezzo, Single Hung, Double Hung, Addison, TexasContact Us! 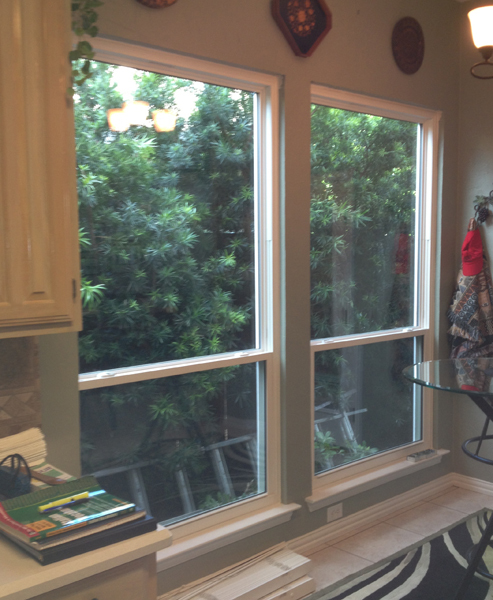 @dallas_windows Here's a job that used our windows but not our installation. It's not pretty. Don't hire that guy for sure. The Plano vinyl windows page show the big two stories and the ranch houses. Check it out! Our cool new Before & After gallery of excellent installations! The Window Connection Blog offers our freshest articles. We just did a redo of the sliding doors page. Have a look! New workings on the French Doors Page as well! If you prefer, email us about your project and we'll get right back to you.